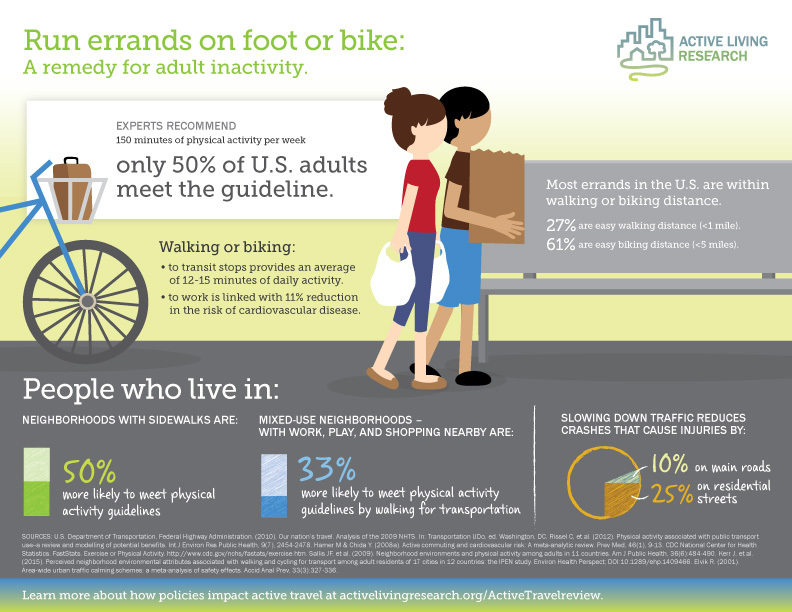 Few Americans walk or ride a bicycle as a part of their daily routine. Most rely on their automobiles to go to work, shop for groceries, or just get around. 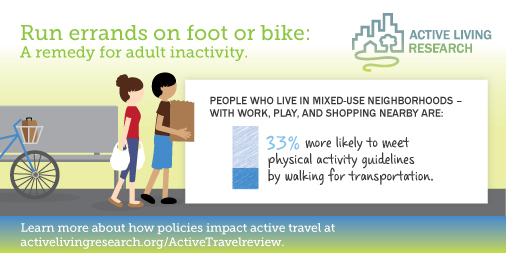 As a result, “active travel,” such as walking or biking for routine trips, is not a significant part of daily life for most Americans, providing little, if any, regular physical activity. Active travel can be a significant source of regular physical activity when built into daily routines, and in most cases, it requires few skills, little extra time, and is inexpensive. Most daily trips are within easy walking or biking distance. 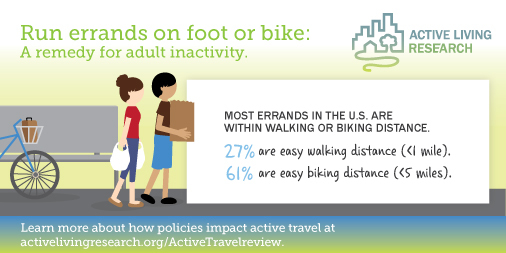 This infographic features evidence on the health benefits and safety of active travel, and examines policies and programs that can help increase active travel. Findings presented in this infographic come from a related ALR research review. We are happy to provide a number of options for downloading our Run Errands on Foot or Bike: A Remedy for Adult Inactivity infographic. You can download the full version in JPG format (156 KB) by clicking on the image above or the "Download Original" link at the bottom of this page.